CherylLorWanNing`243795!♥: Days that can't be rewind. Days that can't be rewind. Was in Hougang Primary School . I simply can't forget this year . It is full with memories . Still remember that we were so playful && Mr chia called me , Jennifer , Regina & Chye Fen 'San Gu Liu Po' . Cos he say that we always gossip . Where got siol ? && i really miss when i am with them . They brought joy & tears to me . I remember that time we had misunderstanding && they don't want to be my friend . I felt so alone without them . But after that , we were friends back . && i remember that Zheng Lao Shi told me alot of things & she brought me senses & i realise that Secondary school friends also can be good . But I just can't forget those friendship && days with them . 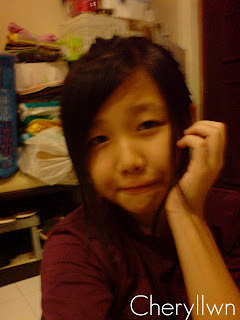 Had PSLE && finished Primary Education && was sad about that . Suddenly flashed all those images where we had fun in 2008 . There's lots of joy in this class which simply stuck in my mind . I guess i'll busy && eventually will forget this class liao . But i don't wish to erase all this memories . But these are th days that can't be rewind . 2009 has arrived && 2008 is GONE . First year in Bowen Secondary School . Realised that i'm so childish when i'm in Primary School as i remember that we will always say i don't friends you liao , i don't friend you liao . That's really childish & this shows that we are really a kid when in those years . But I just realise that at least primary school is not so stress as secondary school . 1A2 brought me joy too . Although they are very noisy , but we are a class after all . I really appreciate friends to be there fr me when i need you . Joined Badminton && brought me joy too(: All th seniors are good && teachers are good to us too ! Eventually , we will become seniors of others . After all , we are going to be seniors soon && i need to grow more mature lerh . Not like now , cry over a small thing , let parents think that it is because of Badminton that my studies are like this . I will show my parents & my grandparents that i can study too . I must manage my time properly && show them that i can manage my time & i have grow up lerh . Not let them say what i doesn't look like one 13 years old kid . I will prove you all wrong . I can do well in Badminton as well as studies . Although i know it is impossible but nothing is impossible right ? I must thanks Mrs Iszal fr being so nice to me & thanks fr patiently teaching me . && eventually , i did well fr my Express Maths . Hmm , as in not well but at least i PASSED ! I had never pass maths since i get into secondary school . I feel so sad that she's not going to teach me . But whoever she's teaching , treasure her alrights ? She is really a great teacher . 2010 has arrived && 2009 is GONE . Hmm , th year had just arrived . && i had made up my mind lerh . No more using comp unless holidays . No more talking in class unless teacher ask me to answer th question . No more love here love there lerh , i can only keep you in my heart & you will never know you are th one . No point telling you when i know it is impossible fr us . No more playing a fool in Badminton . I have to be more mature lerh . If not , they will say i don't act like a 14 years old kid . Please ! NO MORE TUITION ! I have no time for it ! && goodbye 2009 && all those memories are kept in this blog .